The United Nations Transitional Authority in Cambodia (UNTAC) was a peacekeeping mission in Cambodia. It took place between 1992 and 1993 and aided the country’s transformation from the Khmer Rouge regime. The UN’s objective was the stabilisation of the country and securing the population from the paramilitary factions raging throughout the country. It was also the first time that UN forces had taken over the administration of an independent state, as opposed to being limited to just monitoring or supervising. At the time the operation commenced, the Polish armed forces were in a state of transformation. 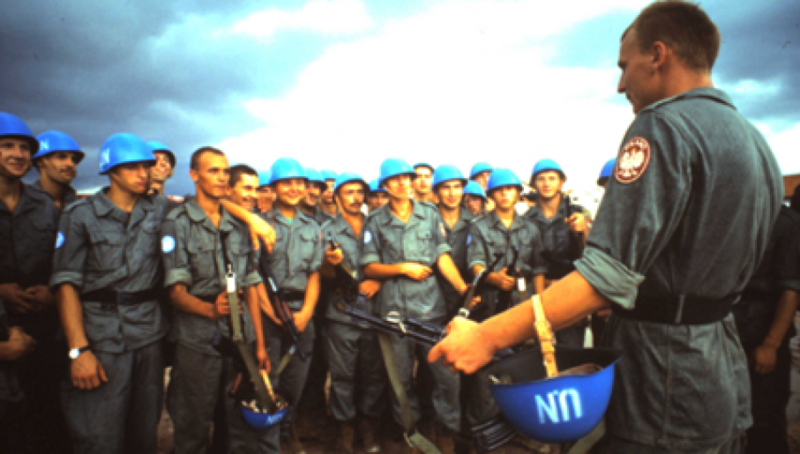 With the dissolution of the Warsaw Pact just one year earlier and still far from joining NATO, the military was largely unprepared for the peacekeeping mission it was to undertake. However, following the government’s decision, a Polish military contingent took part in the UNTAC’s operation alongside 16,000 troops from 45 other countries. The mission was the first time the Polish Army engaged in a direct combat role since 1945. It also cost the life of five Polish soldiers, attacked by Khmer Rouge militants. In comparison to the operations in Iraq or Afghanistan, the actions of the Polish soldiers in Cambodia have been largely forgotten. The Association of the Veterans of the Polish Contingent of the UNTAC 1992-1993 decided to change this. It is producing a documentary that will share the experiences of the Polish soldiers with a broader audience. The movie, titled “Cambodjana”, will depict the lives of Polish soldiers in the Cambodian jungle, carrying out duties in the immense heat, witnessing the crimes committed by certain Cambodian factions, and fighting the Khmer Rouge guerrillas. It is based on the experiences of the Polish veterans and made from original material. “If not for the UNTAC, many more people would have died”, said another. A teaser for the movie is already available on YouTube.